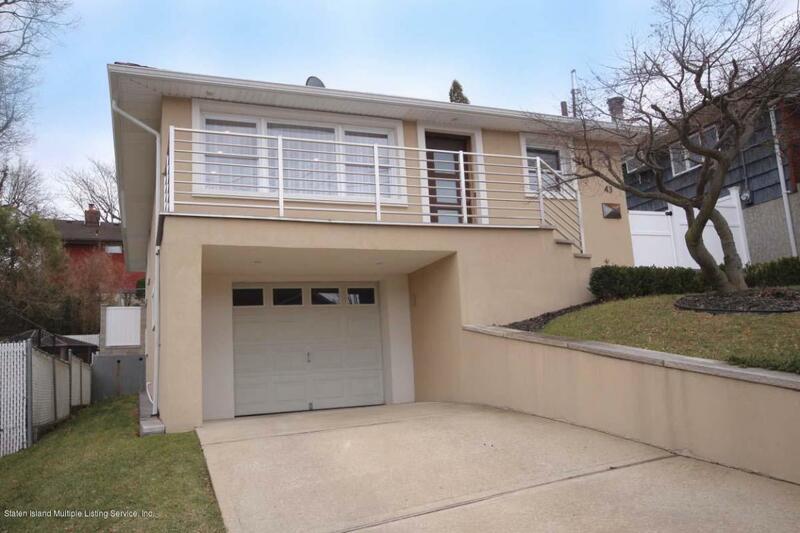 Beautiful modern single family detached home located in prestigious Dongan Hills Colony! Peaceful & Quiet! Totally renovated inside & outside. Features eat-in kitchen, living room, dining room, gleaming wood floors throughout, huge fully finished basement with recreation & laundry areas, custom baths, plenty of closet space, and so much more. Built-in garage & driveway for off-street convenience. Private fenced yard & patio perfect for entertaining. Super convenient to all shopping, dining, and transportation...just minutes from S.I. Expressway and Verrazzano Bridge. A must see!